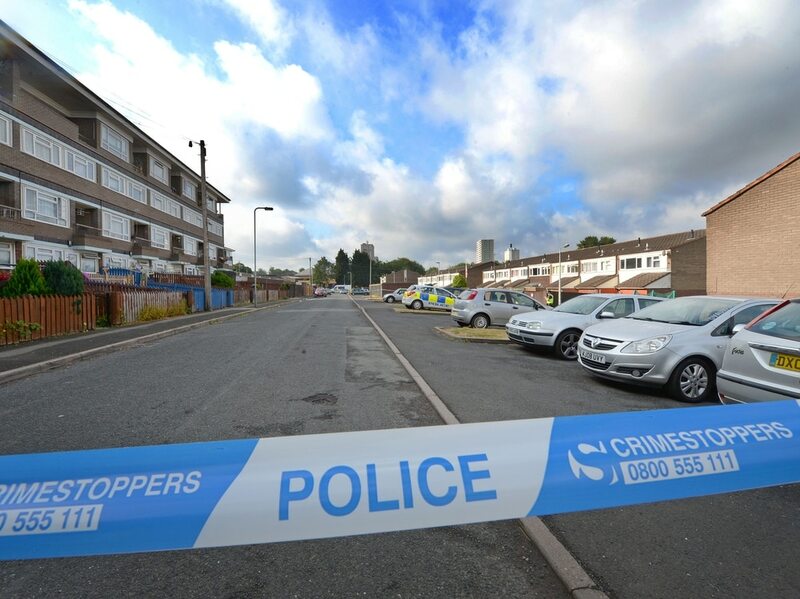 Armed police will patrol in Wolverhampton today amid growing concern following a fatal shooting in the city. Neighbours have spoken of their shock after a man was gunned down just yards away from their homes. 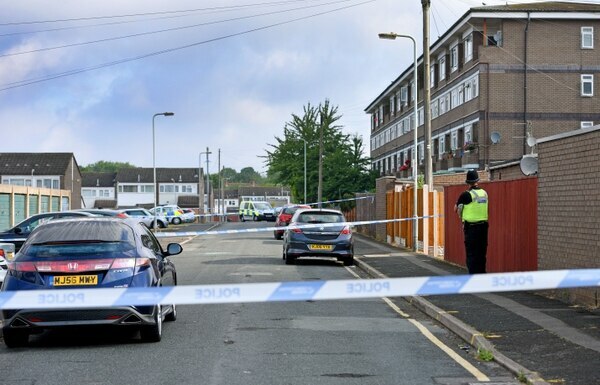 The victim died in hospital after he was shot in Wolverhampton's Park Village on Friday evening. He was today named by police as 24-year-old Dwaine Haughton. 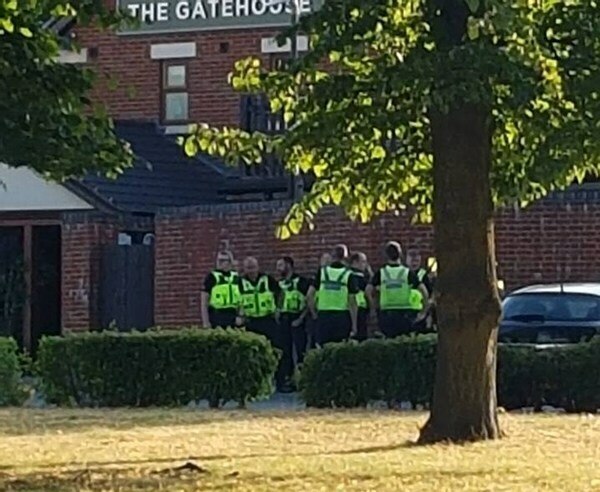 The gun attack came days after shots were fired outside The Gatehouse Pub, in Mercury Drive, off Stafford Road. Terrified customers were shut inside as men armed with machetes arrived at the pub at around 6pm on July 14. A man in a motorcycle helmet is understood to have fired several shots at the pub's beer garden before fleeing in a car. West Midlands Police confirmed extra firearms officers would continue patrols in the city today. 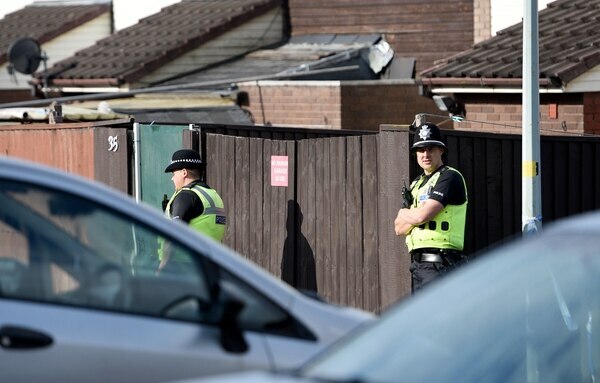 Armed police had been brought in over the weekend as patrols were stepped up. Officers also used section 60 stop and search powers which allow officers to search people without the need for reasonable grounds, if they suspect they might be involved in violence. We're using these powers again tonight, as we continue to appeal for information. Park Village residents have since revealed they have been left devastated, with the tragedy said to have 'shaken' the community. 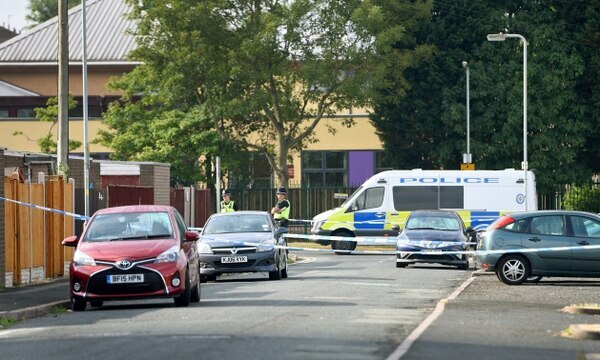 Romanas Aleksamadravicius saw the shooting in Valley Road - near Trinity Church of England Primary School - and said it had left him terrified to let his young daughters outside. He told the Express & Star: "I feel scared because I have children. Last night my daughters were crying. "I don't want them to go outside, it's horrible. Everything was quiet before this happened." 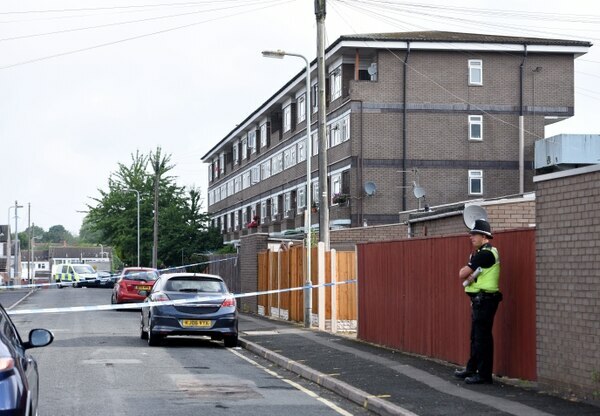 The 40-year-old was at his Longford Road home, which overlooks the murder scene, when his two daughters heard a commotion outside. The family peered through one of the girl's bedrooms, spotting men in a car pull up before three shots rang out. Petrified the gunfire would smash into his home, the security guard warned his children to get down. He went on to say he cradled his 10-year-old daughter through the night as she sat in tears after being left traumatised by the gun attack. Mr Aleksamadravicius, who has lived in the flat for the past year, added: "I was scared they were going to shoot at us. It was like something from a film. "There's been no trouble. Sometimes people are drinking and they fight, but not shoot. I want to move now." 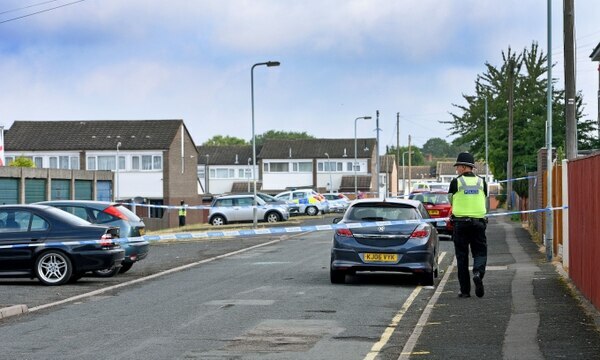 Bouquets of flowers were laid at the scene, where officers were spotted scouring for evidence and carrying out door-to-door enquiries over the weekend. A card inside one of the bunches of flowers read: "Rip, big man. Sleep tight, until we meet again." Detectives launched a murder probe after Mr Haughton died in the early hours of Saturday morning. He was shot in the street at about 9.10pm on Friday, West Midlands Police said. Minutes later, officers rushed to nearby New Cross Hospital after discovering a man with serious injuries had been driven there. Medics battled to save Mr Haughton, who was later transferred to Birmingham’s Queen Elizabeth Hospital, but he died at about 2am. A woman who lives in flats in Longford Road said the community was 'solemn' following the tragedy. The mother, who did not want to be named, added: "It's a huge surprise. I have lived here for years and it's peaceful." City MP Emma Reynolds said she was 'hugely shocked and saddened' by the news the man was shot in her constituency. The Wolverhampton North East MP added: "I will be discussing case with police as soon as possible. "My thoughts are with the family and friends of victim of the shooting. "Anybody who saw or heard anything yesterday in Valley Road area, New Park Village should report it to the police. Remember you can do so anonymously." 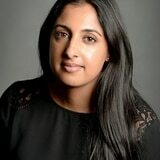 Councillor Milkinder Jaspal, who represented the Heath Town ward, added: "It's a surprise and a shock. The community is shaken up." Another resident, who has lived in flats for almost 20 years, said she was in bed when she was alerted to noise outside. She said she initially thought fireworks were going off in the sky but soon realised there had been a shooting. The woman, who asked not to be named, added: "It is surprising. Park Village is a nice place to live in. It's just like a big family. "There's never been anything like this before."